Home Relationships Self-Sabotage in Relationships: It’s Not Them, It’s You! 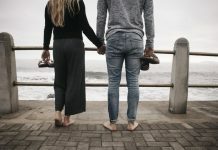 Self-Sabotage in Relationships: It’s Not Them, It’s You! Self-sabotage in relationships is a lot like committing to a married man. You can do it, but you’re setting yourself up for a fall. The thing about falls is, one can never be sure if it’s going to be a soft or hard landing. Self-sabotage in relationships can be one of the most painful falls of your life. I don’t know of anyone who is immune to it and I’d safely say we all have done it on occasion. However, to repeat the action is bordering on insane behavior. Self-sabotage can be as insignificant as being late all the time, or as meaningful as binge eating or other risky behaviors. Oddly, self-sabotage behavior is a unique attempt to relieve pain and negative thoughts or behavior. Most people don’t even recognize it let along know how to stop self-sabotage. Sadly, they play the blame game and are blind to their own self-destructive behavior. After the last child has left the house, finally you think, okay, now I’ll do what’s best for me, but then something prevents ‘me time’ from happening. So, there you go, making yet another sacrifice, reasoning that it’s what a good parent does for their child or what a child does for their parent. Right? Hmm, well… maybe, maybe not! When that situation passes over, you begin to think about your future again, and lo’ and behold something else seems to get in the way of you enjoying life. Could this be coincidence or self-sabotage? You have chosen to postpone ‘you’ once again. This is a problem that needs fixing right away ’cause life’s too short not to enjoy the pleasures of life. This is especially an issue when you are in own way of love and happiness and it’s because you’re too busy trying to please other people. Regrettably, there are too many of us who don’t even place the same value on ourselves as we do other people! Can you imagine that? Well, I can. I am guilty of treating others better than I do myself, so we need to change that. Together, we’ll find the tools to move past this mess so that we are able to do what’s best for us. If you’re like me and thousands of other guarded women, you don’t have a selfish bone in your body. Sometimes, we say ‘Yes’ when we really want to say, ‘Um, no… I’m not doing that!’ ‘Yes’ is one word we must stop saying each time we are asked for something. But because we’re more concerned with the other person’s feelings and well-being, we sacrifice our time and even our money so others are happy. It never occurred to you that you were dating someone with the needy man syndrome. Why Do We Self-Sabotage in Relationships? Why in the world do we do sabotage our relationships? Is it fear of rejection from others that we undermine ourselves because nobody likes that feeling? The truth of the matter is, we cannot please everyone. You owe… we owe it to ourselves to say ‘no’ when we don’t want to do something and stop stressing out over other people’s problems. One of the most commons excuses we use is that we were taught to treat others as we want to be treated. Ugh, well, real life teaches us that this doesn’t always have the boomerang effect. When we don’t get it back, we feel cheated, betrayed and disappointed. Why? Mainly, because we have given too much to others. While we give generously, they take in the same manner and without regard to our needs. What we may not realize is that we deserve to have what we give to others. Plain and simple. We need love and affection. Shouldn’t we have flowers on our birthdays, too? We deserve steak, lobster, dessert and champagne, baby! Know we are beautiful people and we’re worthy of healthy relationships. Self-Sabotage Behavior—Is This Someone You Know? Sometimes, we do the most to ourselves when we make a “stupid” mistake. We knew better but did it anyway. Geeez! Who does that? Too many people, that’s who. When you get into more trouble trying to solve the problem you had in the first place, there’s a problem. I mean, it can get ugly. You self-sabotage in relationships, lose long-term friendships, terrific jobs, and potential lovers behind. I had begun to sabotage my relationship so bad, I began to question what type of woman does a Jamaican man like because it couldn’t be me! Got a thing for food? Another example of self-sabotage syndrome is self-harming behavior such as cutting. Oh yeah, it runs deep, it does. Some agree procrastinating is a huge part of self-sabotage. Keep reading to find out more. You ever stop to think about how many times you were late for work but you put in for that promotion anyway? Well, they hired someone instead. You didn’t see that coming, did you? The only thing that stood out most about the other applicant was he came in early and stayed late. Because you counted your chickens before they hatched, you got a brand new car you can’t afford now. Not only that, but you kicked your roommate out, too? This is self-sabotage at its best! We sabotage ourselves by the choices we make. It’s not them, it’s you! The saddest parts of self-sabotage are that people eventually try and hide from themselves. These people don’t put emphasis on their appearances anymore. They don’t care how they look or about themselves at the end of the day. They do everything to make themselves invisible, including isolating themselves from friends and family. When in reality, this is the time to surround yourself with people who make you better. One of your true friends will hold you accountable for your behavior and disappearing acts. Overcoming Self-Sabotage: You Owe it to Yourself! We owe ourselves an apology. Seriously, we need to go to the mirror and apologize to ourselves for not loving us enough to put ourselves first and foremost. We should apologize for not thinking ourselves worthy of that over-priced vase or that exotic vacation. Whatever it is we so freely give to other people, we should give to ourselves. You should forgive yourself for all the times you went without while someone else enjoyed the fruits of your labor. It pissed you off, but you said nothing. That nonsense stops here, my friend. There’s too much self-sabotage in relationships today and you can be one less number in the statistics. The only thing stopping you from self-sabotage in relationships is you. The only thing preventing you from getting what you want out of life is you. You owe it to yourself to get up and get out of your own way, my friend and when you get out, run. Yes, run, my friend, run! When you are in own way of love and happiness, you tend to chase things and people who temporarily fill a void, all the while hoping that the good times will never end. Some of the choices we make seemingly master the emotional connection we want, but sooner or later we wind up screwing up and we never are happy for very long. It’s so disappointing. Why then do we chase the cat? Or better yet, how do we change self-sabotage behavior? Happiness is associated with giving and self-sacrifice, so it’s said and that’s a belief many of us have. Therefore, we make choices thinking that making other people happy will make us happy. That’s why we do what we do. Nonetheless, we shouldn’t confuse doing for others and letting them take advantage of us. That’s a different story… a very different story. Meeting life head-on, help others, but don’t enable them and take care of our own needs first. Realizing that certain things like money and material assets will not make us happy. Money will not buy you love and happiness. I’m afraid, it’s true. It will most certainly change your social status and your material gains… you can even buy a new body, but not love… and not lasting happiness. It’s imperative that we are happy before achieving the lavish homes and car or else, it won’t make a difference when we have it. Stop trying to set a time to be happy. What is that? You deserve to be happy NOW, not ‘when’ and ‘if’ things change for the better. Really? That’s the wildest thing I have ever heard of if I do say so myself. Just say ‘no’ when you don’t feel like doing something. Say it with me – ‘Now I’ll do what’s best for me.’ Now is the time to claim your happiness. You need to believe that you are worthy of those things you give to others and give it to yourself. No more self-sabotage in relationships. You’re going to do it right next time. There’s no real reason to wait until you’re retiring to take a trip to Greece. At the same time, you shouldn’t think a life of leisure and high social status will bring you happiness. Giving and making others happy is gratifying, however, don’t forget you have needs too. Next articleYou’re Dating a Maneater…a Player… a Pimp! You Didn’t Know? it is not you that my red lips with kiss, colors of permanence. That’s the beautiful (and frustrating) thing about relationships: each relationship defines what they need, what is healthy, and what they’re hoping to get out of it.